There is a lot of Purple fabric being seen over quilt blog land recently, not that it is a bad thing at all....I like Purple. We some believe that it is a color of royalty I totally believe that it is also a fabulous color to incorporate into Halloween quilts too. I hope you enjoy today's stunning stitching showcase. I also have some really exciting news to share....actually it's 2 news worthy items not just one, so be sure and check back early in the week for the the whole story. Hey Michelle. Thanks for putting up one of my posts in this Sunday. Unfortantly, I had taken that post down. But you can link it to here, it's the same quilt. 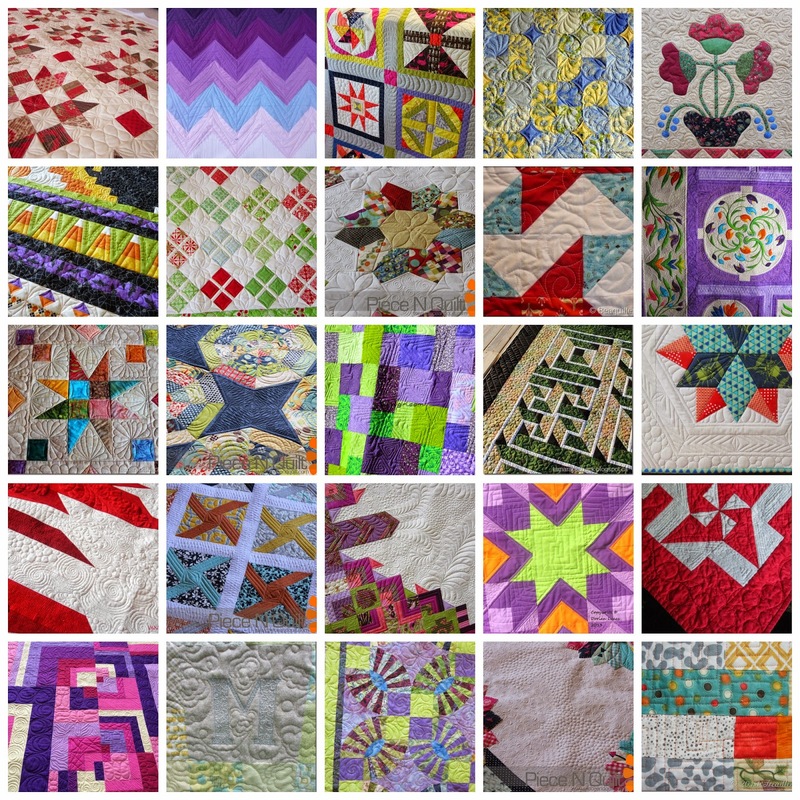 Thanks for sharing my sampler quilt along with all these other beautiful quilts. So much eye candy!